With Zenius, Evolis unveils its new conception of plastic card personalization, with a clear focus on the user and unmatched printing quality. 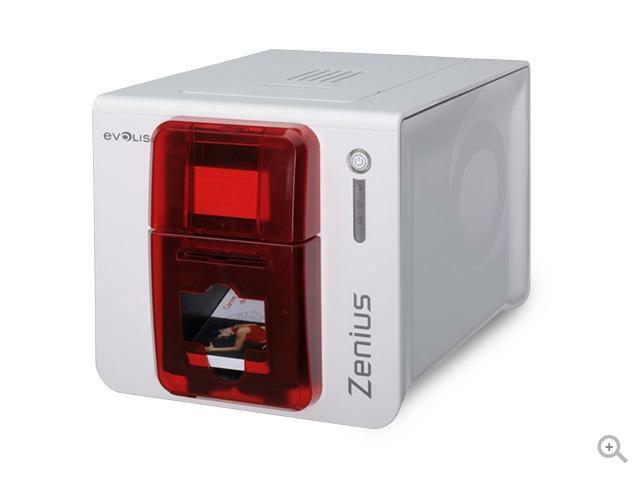 Zenius, the first eco-designed printer, stands out with its optimized features and Evolis Premium Suite® software, a compact and sleek design. Zenius benefits from new consumables to provide ease of use and performance levels that set the new benchmark in the market. Zenius is the one-stop solution to print high-quality single-sided cards, in monochrome or colour, and encode technology cards, in single or small runs, for a variety of applications: employee badges, access control badges, payment cards, transportation passes, and more. Zenius now comes bundled with CardPresso card design and print software. With a sound level of just 46 dB (A) and its amazingly small size, Zenius can be accommodated in virtually any environment, be it a welcome desk, a sales counter, or an office desk. Zenius weighs 3.3 kg (7.3 lbs) and is the lightest printer in its category.